President Obama, in an attempt to curry favor with the Europeans that adore him, followed through on a campaign promise and signed an executive order to close the detention facility at Guantanamo Bay, Cuba. Now that the order has been issued, reality is beginning to set in - what do we do with the detainees? These are people who have committed their lives to the destruction of our way of life. Yeah, I know that sounds melodramatic, but it is the truth. There are several realities involved with the closure of Guantanamo. First and foremost, no one wants the detainees. With the notable exception of Jack Murtha supposedly speaking for his district in Pennsylvania, various venues have already indicated their unwillingness to host these terrorists. Let's see which of the European nations are willing to be part of the solution - probably as many who are willing to send more troops to Afghanistan. The administation has made contacts with Yemen to take its nationals - there are 245 Yemenis at Guantanamo, the largest group by far. In order for the Yemenis to be released to the government of 'Ali 'Abdullah Salih, the Obama administration demands that Yemen must first institute a terrorist rehabilitation program based on the model used in Saudi Arabia. Yemen is not a partner to be trusted, not only in the war on terror, but for anything. It is one of the most corrupt places on the planet, and a hotbed of terrorist activity. Many terrorist groups operate virtually openly in the country. Prisoners escape, judges look the other way, and money changes hands. This is the country that the Obama administation wants to rely on to handle Guantanamo detainees? - October 2000: The USS Cole was attacked while on a port visit to Aden, killing 17 American sailors (see The USS Cole - A Victim of Bad Policy? 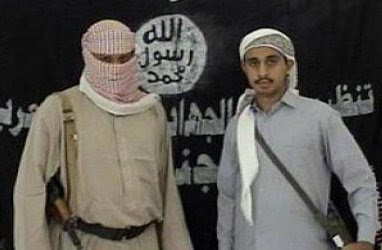 - February 2006: Twenty three Al-Qa'idah prisoners escaped from a Yemeni maximum security prison. Included in the 23 escapees were Jamal al-Badawi, mastermind 2000 attack on the USS Cole in Aden harbor, and Jabr al-Banah, an American citizen wanted in New York state for terrorist activities. - July 2006: A Yemeni court has acquitted 19 suspected Al-Qa'idah members, some of whom had confessed to fighting American troops in Iraq. - February 2008: Jabr al-Banah waltzed into a courtroom in Sana', Yemen, made a brief appearance and departed. This is outrageous - al-Banah is an American citizen wanted by American authorities for terrorist activities - he is one of the so-called "Lackawanna Six." - May 2008: Usamah Bin Ladin orders his followers in the Kingdom of Saudi Arabia to leave and head for Yemen. Bin Ladin assessed - correctly - that the climate in Yemen is much more conducive venue to base his terrorist operatives. Back to rehabilitation. Forget it. You cannot rehabilitate these people, you cannot negotiate with these people, you cannot trust these people. When we exhibit what we believe is noble behavior - rehabilitation and release - they regard it as weakness, not strength. Oh, by the way, the Saudi program was a failure. The only successful way to deal with these people is to hunt them down and kill them. If you think they have valuable intelligence information, hunt them down, waterboard them, then kill them. You don't send them to Yemen. Sderot - Israel's "Rocket City"
Gaza: Why is Tony Blair so optimistic? An international force for Gaza? Israeli troops focus on the "launch basket"
An Israeli ground incursion into Gaza?